This entry was posted in Adventures in StopMotion Animation, my classroom, Slice of Life. Bookmark the permalink. I am enraptured by these animations – must share them with our Harry Potter club of 3rd-5th graders! 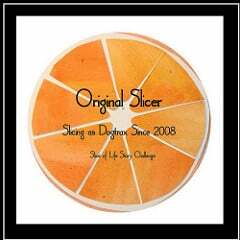 I am also captivated by your original Slicer badge. Thanks .. have your kids make their own, too! Love the animations. These kids are lucky to attend your school and have you as their teacher. Thanks for sharing. I just love that there are Quidditch matches at your school! How magical and cool is that?! It doesn’t really matter who wins and loses…you’re playing QUIDDITCH! I got to see The Wizarding World of Harry Potter yesterday at Universal. Such a fun experience!